Guitar Loop Pedal Performance: Using a guitar loop pedal in your performance can add to your performance with layers, dynamics and lots of interest for the audience. Guitar loop pedals or “Loopers” allow a singer to record what they are playing and then, when they kick the pedal, the recording is instantly played back. This provides a backing track for the singer to record another line over. Greater considerations to using a loop pedal are an engaging performance with a good song and the loop pedal is no way a substitute! Generally a loop pedal is operated with your feet. 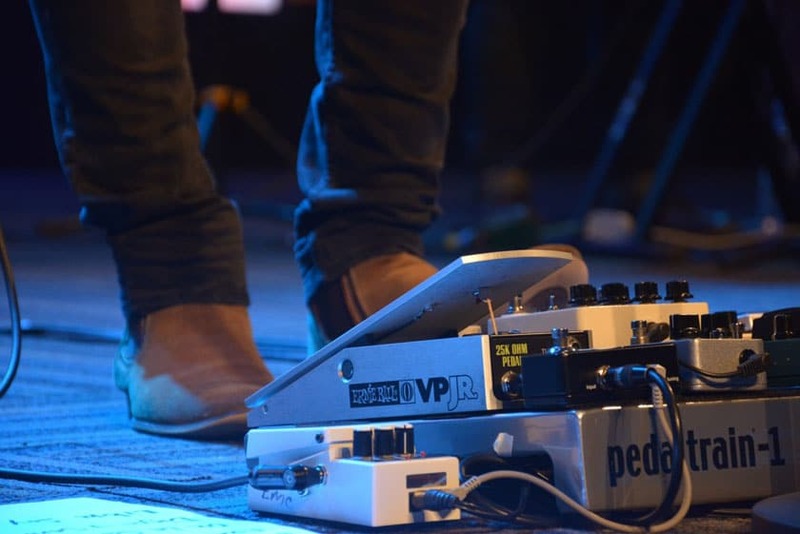 Warning when using a loop pedal for performances: There are many dangers to using a guitar loop pedal so firstly consider using it sparingly and get the performance up and running quickly. Too many guitar players make the performance too complex. If you are taking too long to get the song built up in the first place you will lose your audience and they will become disengaged. If you are considering using the guitar loop pedal for your performance then you must ensure you have rehearsed and practiced a lot. If you play a loop incorrectly it will be out of time for the duration you use that part and the performance will sound awful. As always practice at Open Mic nights, film it, ask for feedback and analyse to make sure you are on point before going to a bigger stage. Before a guitar loop pedal performance it is a good idea to get to know your guitar pedal. They can be very difficult pedals to grasp. It is also wise to decide on how many individual loops you want for each track so all your settings are ready beforehand. Although the small box at your feet opens up a lot of opportunities for improvisation during a performance, it is difficult to do so and even the pros rehearse the structure of their track heavily to make sure they get it right. A guitar loop pedal performance is about building layers so if one is incorrect, it can throw the whole performance off. Working on a difficult section. Use it to listen back to your playing and improve. Create interesting performances with percussive rhythms, bass lines and chord backing.